Almost all animals that live normally on land can swim a little bit but they can not survive in water for a long time. 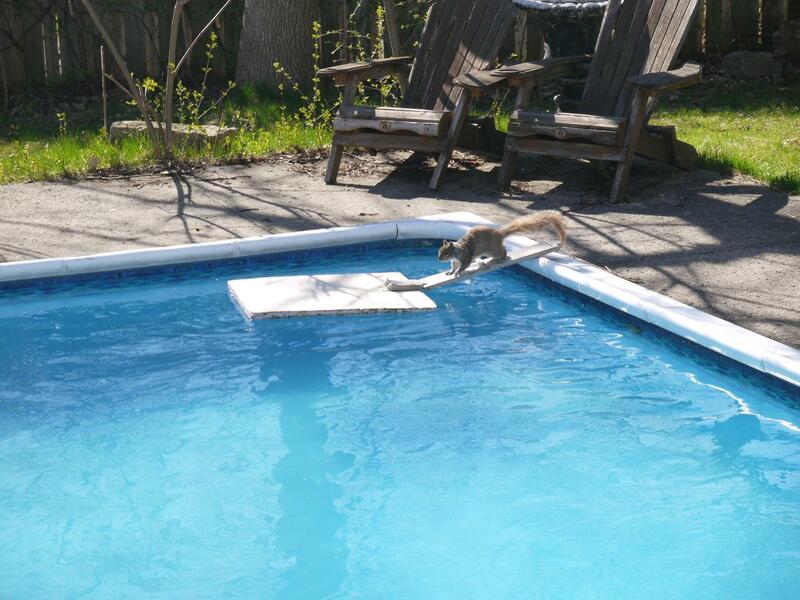 A lot of swimming pools have rather steep edges and small animals can not climb up the wall to get back on land. 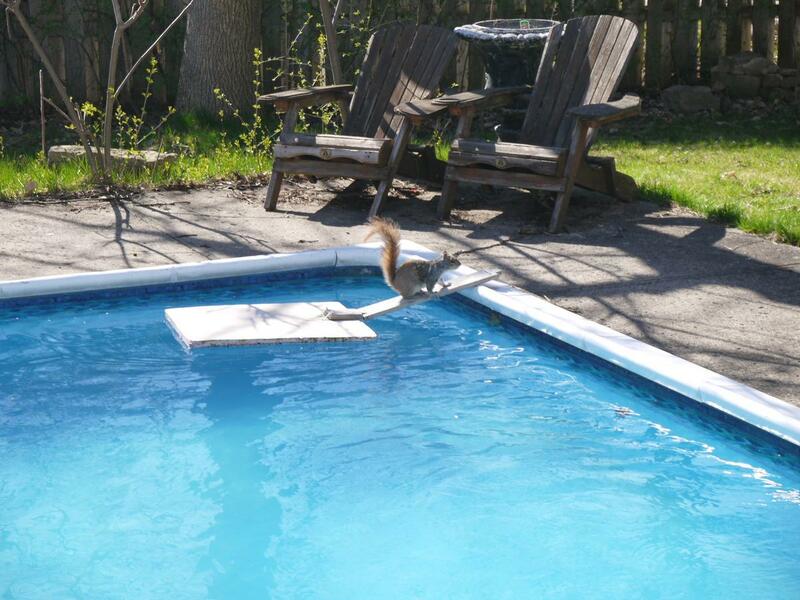 I figured out that animals don't accidently fall into the pool. They lean over the edge to drink water. My fist thought was therefore to put a bowl with water next to the pool where they could drink. Unfortunately they don't drink there. 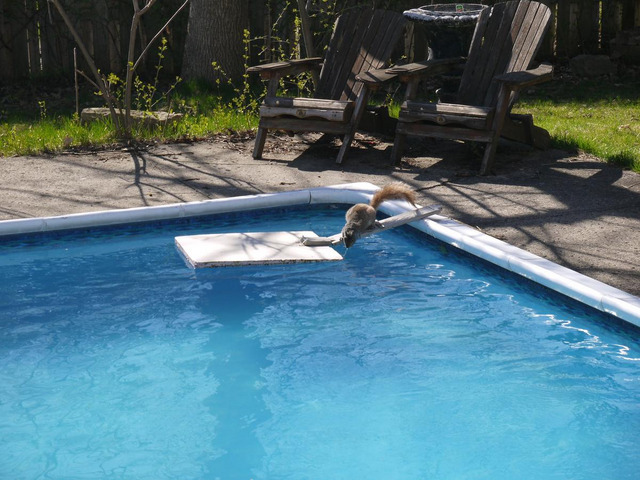 It seems they don't recognize the danger of the pool and they prefer to drink water from the pool even with other options present. The solution: build a little float that gives animals easy access to the pool water. If they still fall in then they can hold on to the float and climb up. 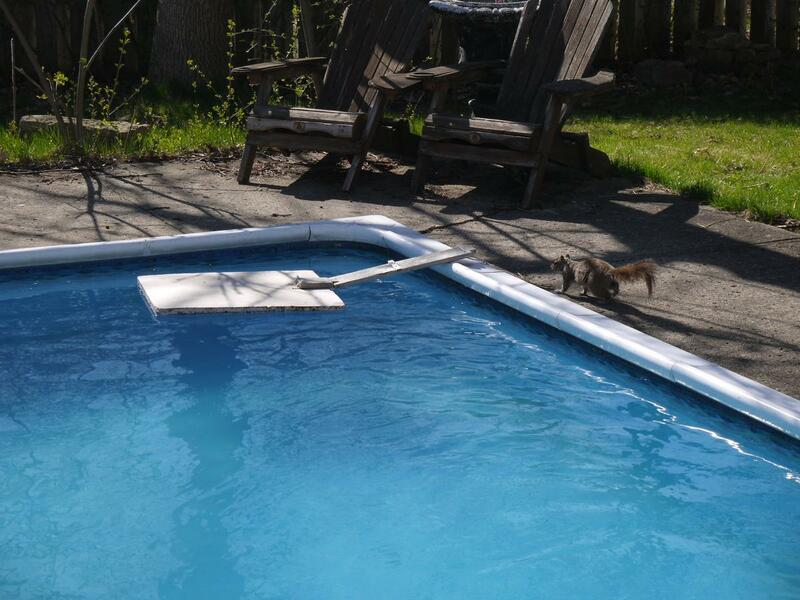 This really worked and ever since I have not found any more dead animals in the pool. I took a small Styrofoam board and attached a 4 inch wide wooden board. I drilled 2 holes into each end end of the wooden board to run a rope through the holes. The rope should be fairly loose. It attaches the wooden board to the Styrofoam float and at the other end of the board to a rock.